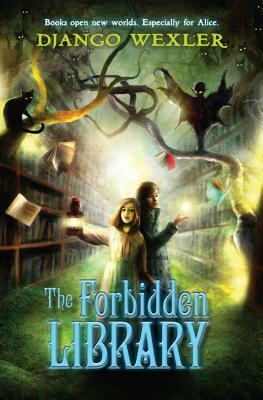 2015 Reading: #1 Django Wexler’s The Forbidden Library – It's Time to Read! When Alice’s father goes down in a shipwreck, she is sent to live with her uncle Geryon–an uncle she’s never heard of and knows nothing about. He lives in an enormous manor with a massive library that is off-limits to Alice. But then she meets a talking cat. And even for a rule-follower, when a talking cat sneaks you into a forbidden library and introduces you to an arrogant boy who dares you to open a book, it’s hard to resist. Especially if you’re a reader to begin with. Soon Alice finds herself INSIDE the book, and the only way out is to defeat the creature imprisoned within. I received this book from Netgalley to give an honest review. I wasn’t sure what to expect from this book – I have never read a novel by Django Wexley before. This is fantasy and action, with a hint of thriller in one book. We follow Alice into a mysterious world – one with talking cats and fairies. My initial thoughts are this: I did enjoy the book however I did find it a little slow. There is quite a lot in the book and a fair amount happens, yet I did catch myself checking to see how many pages were left. I am currently writing a full review of this book, but I would say this was an OK book – lots of adventure and fantasy, but I did think it dragged sometimes.